I know it is a bit early, but I bet some of you are already wondering what to make for Easter. Are you feeling a little provocative? A tad tongue-in-cheek? Then this is what I recommend. It was part of my Arkansas cooking extravaganza a few weeks ago and I thought it was high time to share. 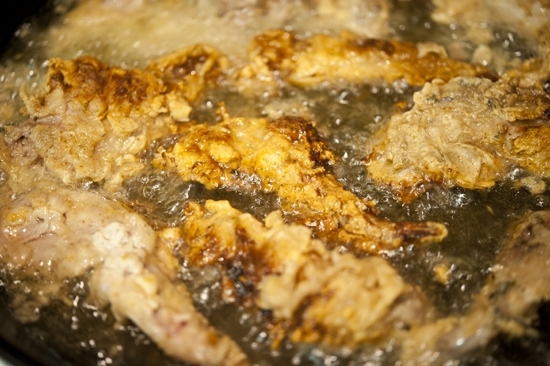 Young rabbits are best fried, because they are so tender. The best way to check a rabbit’s age is to tear one of their ears lengthwise and if it tears easily, the animal is young. Also look for very white teeth. Before cooking a rabbit or a squirrel, I also typically soak it in salt water for several hours, if not overnight. This helps extract impurities and retain its moisture during cooking. Like most good things, it begins with a hot skillet. 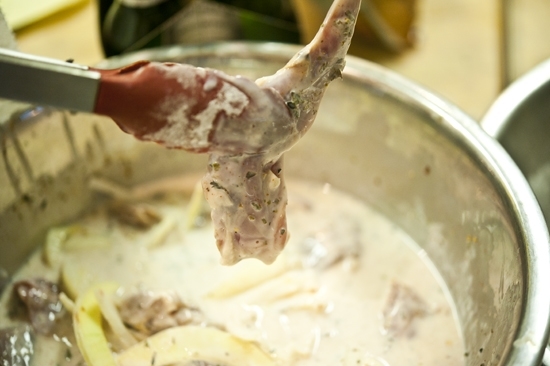 The rabbit is soaked in a marinade made primarily of buttermilk. Marinades have been used since Renaissance times, when their primary purpose was to reduce spoilage and impart flavor. The buttermilk serves two different functions—as a tenderizer and as a flavor enhancer. Once the meat is fully immersed, the acid breaks down the fibrous proteins and increases its ability to retain moisture. The addition of salt will allow it to retain moisture further. Once your rabbit pieces have soaked for quite some time, remove them with tongs and let them drip over the bowl for a few seconds. Some of the herbs will remain on the rabbit. That is good, we want that. The rabbit then goes into the hot oil. Not so hot that is smokes, but hot enough that it sizzles nicely as soon as it hits the pan. Any cooler and the meat will be a bit greasy when it’s done. After about 10 minutes, the rabbit gets turned over, golden crusty top up, so the other side can cook. When as crispy and golden as you please, transfer the meat to a wire rack or paper towel and give them a sprinkle of salt and pepper to help keep them crispy for the table. And there you have it, crispy and golden and finger lickin’ luscious. Soak the rabbit overnight in the buttermilk with the onions, garlic, herbs, paprika, and cayenne pepper. Drain in a colander, leaving some herbs on the meat. In a large re-sealable plastic bag, or in a large bowl, mix the flour with the garlic and onion powder and cayenne, as well as a dash of salt and pepper. 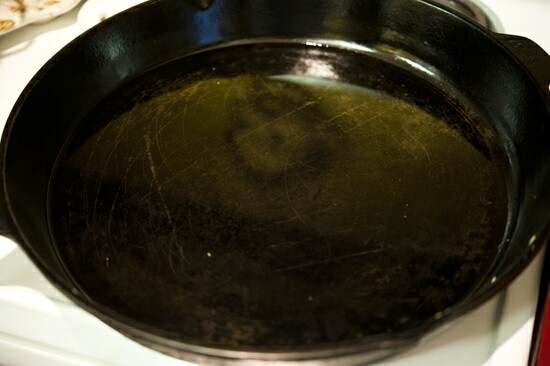 Meanwhile, heat the oil in a large, heavy-bottomed skillet on medium high heat until a pinch of flour starts to sizzle when dropped in the hot oil (the oil should not be smoking). 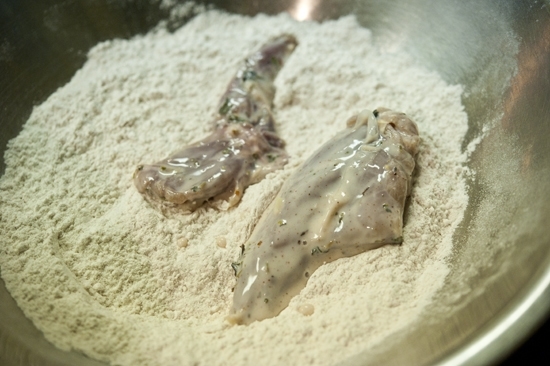 Place the rabbit pieces in the bag with flour and shake until thoroughly coated. Do this in small batches; the rabbit pieces should not be crowded in the pan. Add the rabbit to the skillet and fry on one side for about 10 minutes, until golden brown, then turn over and fry for another 10 minutes, again until golden brown. Be careful to keep the oil hot enough to fry the rabbit, but not so hot that it burns. Remove the rabbit from the skillet and place on a wire rack over paper towel. Season immediately with salt and pepper, to help preserve the crispiness. The rabbit is best served immediately or cold. Wow this looks amazing! My mouth is watering. Does the sprinkle of salt really help keep it crispy? I hate when my fried foods will sometimes “wilt” after cooking. You naughty girl. Hmmmm…wonder if my kids would know the difference between Peter Cottontail and chicken tenders. 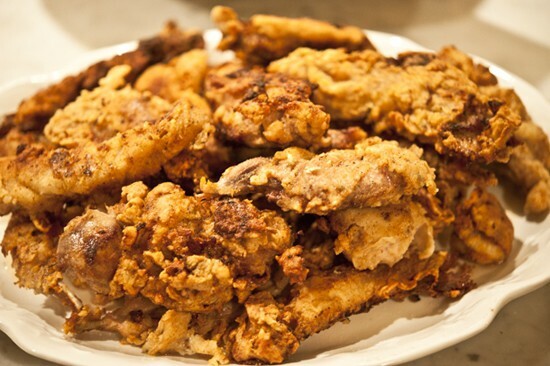 I love fried chicken and I love rabbit, this is a match made in heaven! 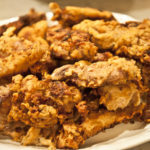 I’ve posted several of your recipes, and your most recent book, on http://www.gunway.com. 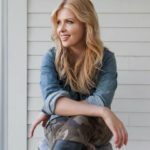 It’s like Pinterest for Guys (and girl hunters and gun owners!) Thought you’d like to know about the site, if you don’t! 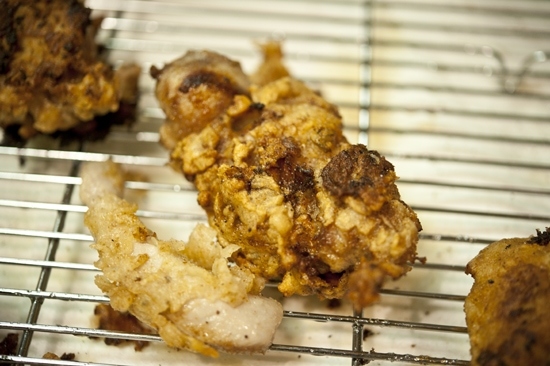 do you have a recipe for deep friEd Rabbit? 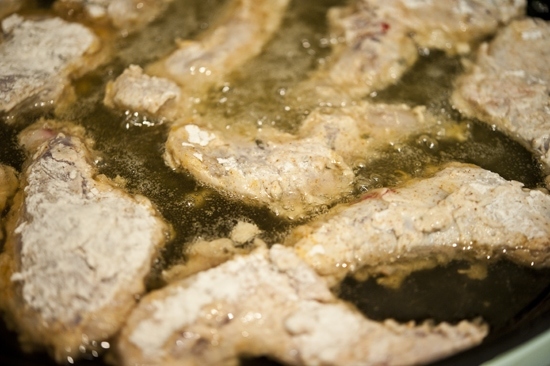 In stead o pan fried rabbit? Made this today…wonderful…grandkids tore it up! Wow, sounds AMAZING! Thanks so much for sharing with us David. Great recipe! My whole family loved it, eVen my little girls. Had to tell my girls iy was chicken because they wouldnt dare eat a bunny.